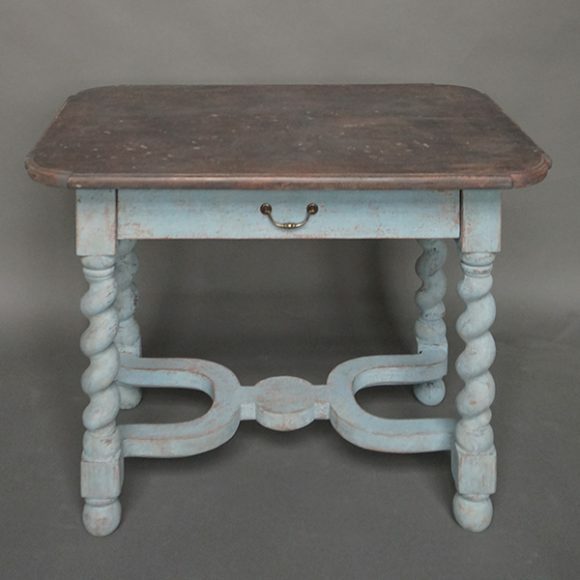 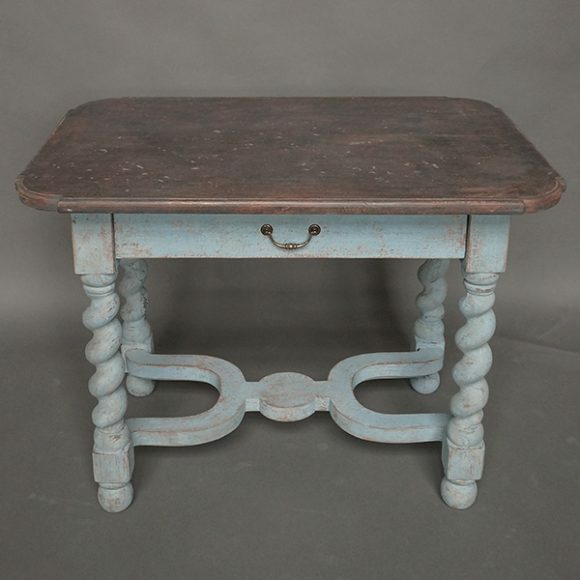 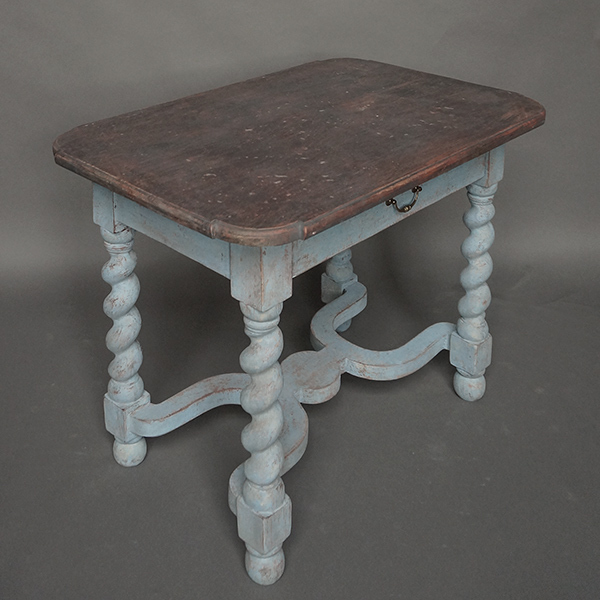 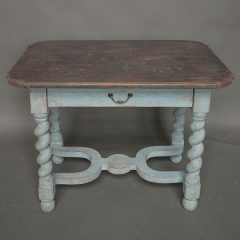 Charming small Swedish table from the baroque period, circa 1790. The top has a worn black surface and nicely detailed round corners. 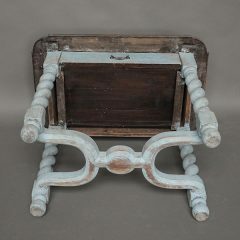 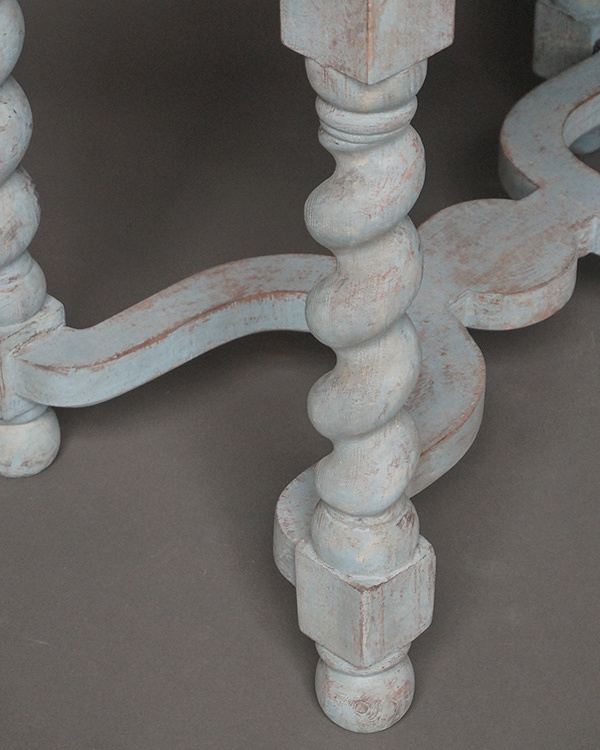 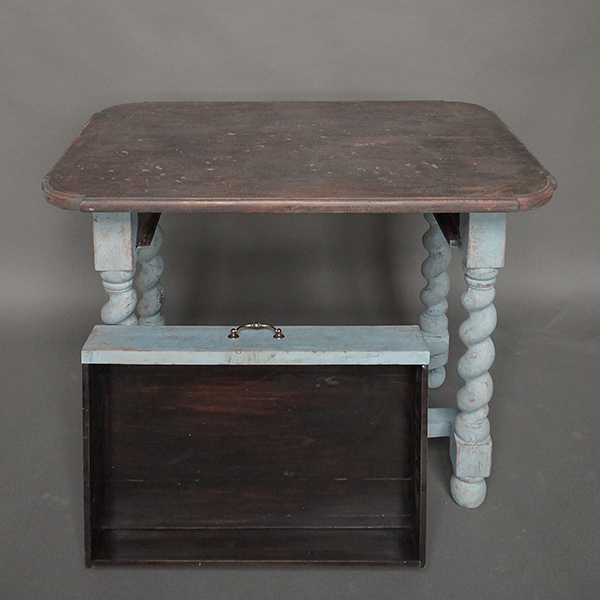 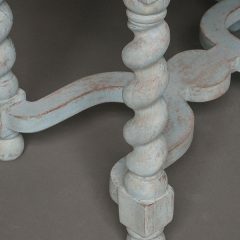 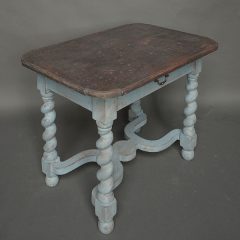 The base, in blue paint, has a single apron drawer, barley twist legs and a shaped stretcher.